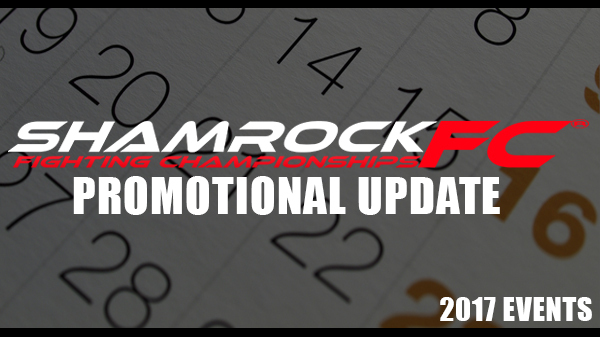 Nineteen events make-up the 2017 calendar for Shamrock FC, the biggest and most active fight promotion in the area . With two shows left to go, 2016 has been a good year for Shamrock President Jesse Finney and company. "September was our biggest month of the year with River City and Kansas City in the same month," Finney said. "It was an amazing month for us. And even though we had a lot of competition with Fight Hard and RFA, I thought those were our most successful shows of the year. October was a sold out show until the night before and one of the fighters had emergency surgery. November was a rough show for us, but then again December 2nd and 3rd should be two of the best shows of the year. " 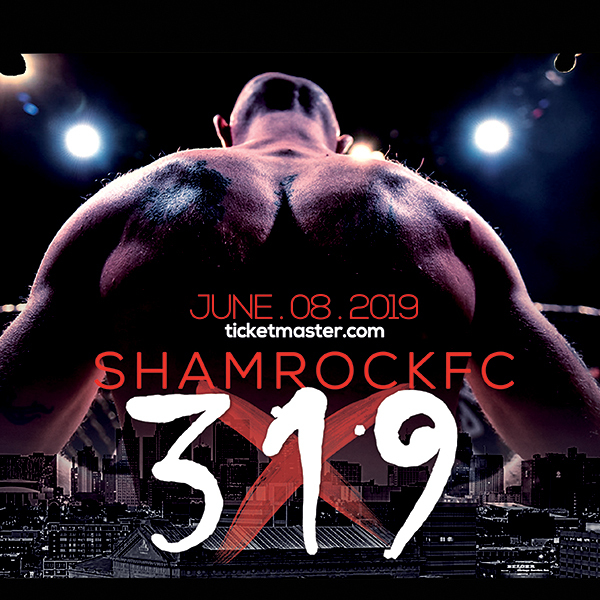 Building on the same recipe from the previous two years, Shamrock will take four trips to its marquee venue, the luxurious River City Casino in south St. Louis City, and eight trips to the Lumiere Casino, four of which will feature MMA and four mixed-combat shows. "You always want to get better," Finney said. "Yeah if it's not broke you don't fix it, but we always try to improve on the show. We have limited resources with some casinos, and with some other casinos we're always trying to bring in bigger and nicer things. We added a bunch to the production of the last River City show and we ramped up the walkouts at the last show in KC." Speaking of Kansas City, KC will be home to six Shamrock FC events at the Ameristar Casino. The beautiful casino on the northeast side of KC overlooks the Missouri River has been home to Shamrock FC events for the past two years. And despite being a touch smaller than River City, Shamrock is able to pack all the same visuals and amenities of their marquee St. Louis shows inside to give the event a big-fight feel. Dates in Kansas City include January 14th, March 11th, May 20th, July 8th, September 16th, and November 18th. "In KC we're going to ramp up things even more," Finney said. "What this is all truly about is to get these fighters ready for next stage. We're treating this as a professional sport and the fighters themselves are going to be treated like professionals. Also treating our fans to the right experience and I believe in what we do is an experience for the fighters and the fans and I swear by that. I've sworn by that for 19 years." Don't be surprised if Bellator returns in June. "We haven't decided yet, whether we'll be taking shows to St. Louis or Kansas City," Finney said. "The odds they come back are really good. It's going to happen it's just a matter of which city and availability of arenas. Our relationship is stronger now than it's ever been, plus they're adding more shows. It just makes sense." One show that area fighters will be wanting to be a part of is the historic Shamrock FC 300. In December of 2017 Shamrock FC will host its 300th event and if all goes to schedule it will be in St. Louis. "We'll do show 300 next year which will be a pretty big deal. It's looking like December 2017 will see number 300." Finney said. "If everything works out like it's supposed, we'll have our 300th show at the River City Casino in December, here in St. Louis." Rounding out the calendar will be the annual Guns 'N Hoses charity boxing event at Scottrade Center the night before Thanksgiving.